Summer is in full swing! July is Falling Water Gardens BIRTHDAY month. This is our tenth year in business and we are going BIG as a thank you to our customers over the years. Falling Water Gardens is extremely thankful for your business! Our Birthday Bash will be held Saturday, July 14th and Sunday, July 15th. For more details about our Birthday Bash, please click here. For this month’s How-To we are covering how to keep your fish happy and healthy by maintaining good quality water. 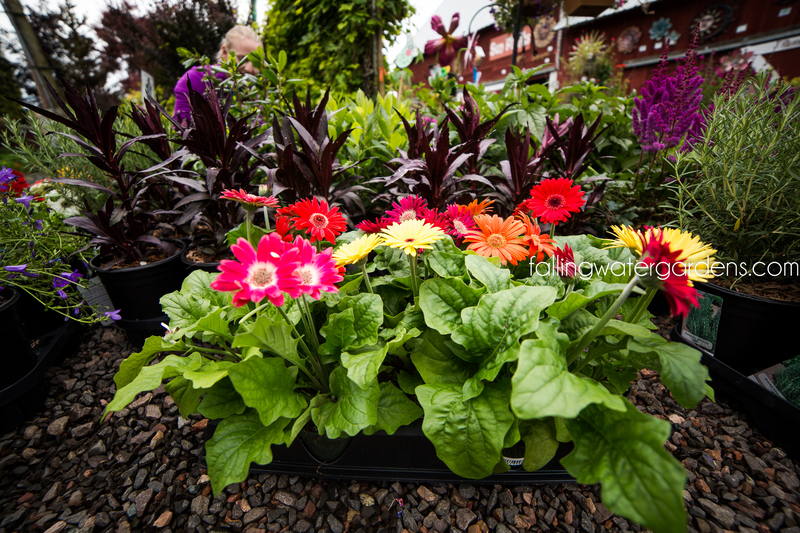 Check out What’s New, Worth Checking Out & Sales at Falling Water Gardens. Take a look at this month’s featured Cool Plants that are available for purchase at the nursery. We also have our list of events coming and classes up for July. For our most recent landscaping projects, click here. Is there a specific topic or subject you’d like us to talk about and cover? Please let us know! * Falling Water Gardens will be closed Wednesday, July 4th. Wishing everyone a safe & Happy Fourth of July! 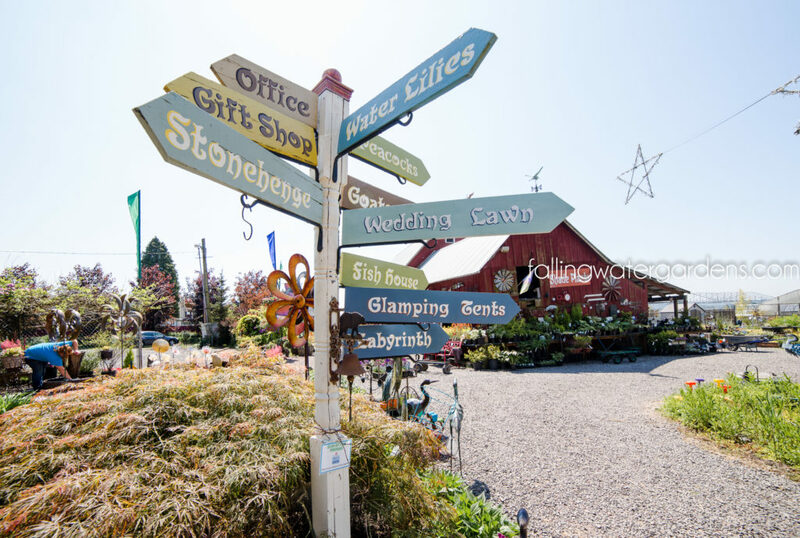 You may simply know us as Falling Water Gardens, the aquatic nursery and garden center in Monroe with the big fountains and display gardens. 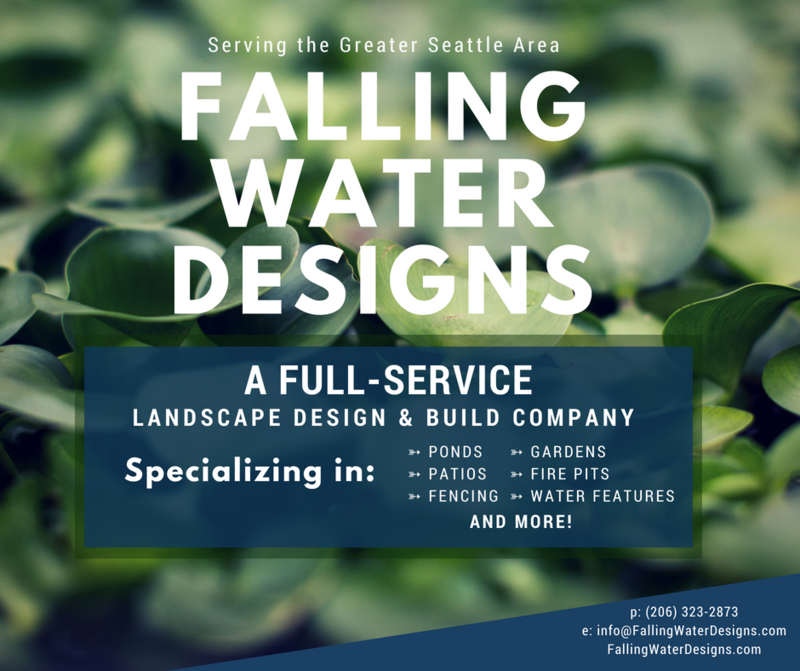 Did you know that the parent company, Falling Water Designs has been designing and installing award winning gardens and water features in the Puget Sound since the year 2000? It’s true! And we’ve been featured countless times in the media. We were also featured on HGTV’s show Landscaper’s Challenge not once, but twice. 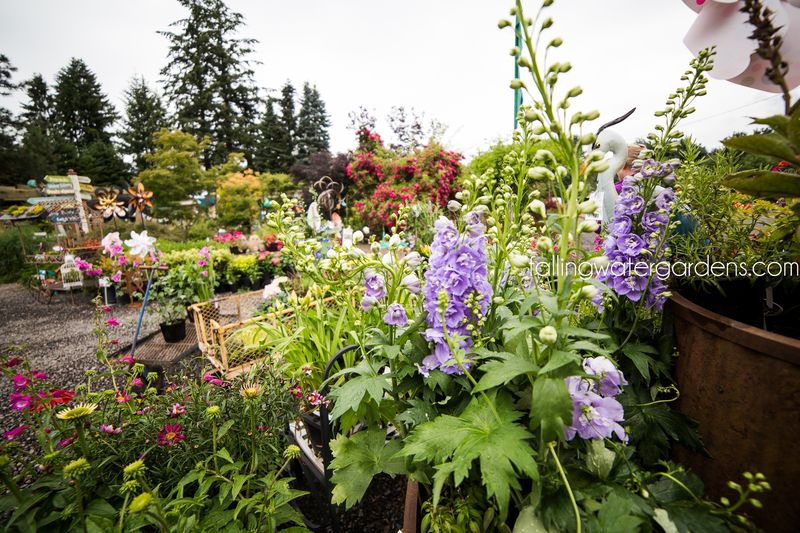 We’ve won awards with the Washington Association of Landscape Professionals, The Northwest Flower and Garden Show and the American Horticulture Society. We must be doing something right. Looking to have some work done in your garden? In need of pond maintenance? Contact us for more information and an estimate at (360) 863-1400 or email us at info@fallingwaterdesigns.com. Rick Perry installed his first pond in his parents garden when he was only 15 years old! Ponds were built out of concrete back then. His parents still own that home and the original pond has been expanded and rebuilt twice, as the technology in pond liners, pumps, and filters continued to evolve. Rick’s love of water in the garden never went away and for over 16 years he continued to install ponds in his own homes and those of his friends and family. After someone suggested that Rick could make a living off of doing what he loved, Falling Water Designs was born. Rick has been involved in the water garden industry longer than there has been a water garden industry. He is very excited by the continuing innovations that are making it possible for every homeowner to enjoy a low maintenance, affordable water feature in the garden. Rick has been interviewed and featured in Koi World Magazine, Sports Illustrated, and Water Features for Every Garden by Helen Nash.